Breakfast in our home is a must every single day. I have made it my mission to get the day started earlier in order to have a delicious start to the day with the family. 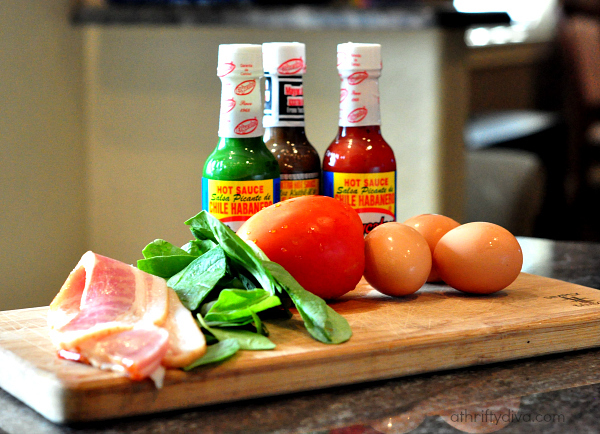 I love to spice up our meals with not-so-ordinary simple meals with authentic flavors. 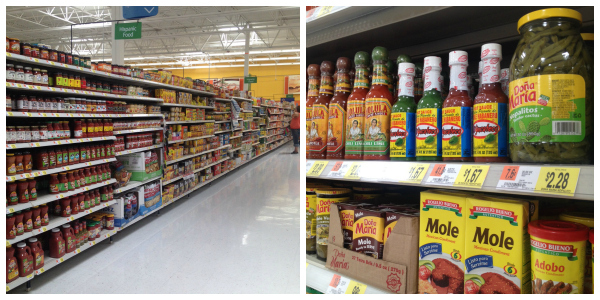 Enter El Yucateco hot sauces, found at my local WalMart in four different flavors and perfect for my habanero recipes. Red Habanero Sauce, Green Habanero Sauce, XXXtra Hot Kublik-ik Sauce and Black Label Reserve. 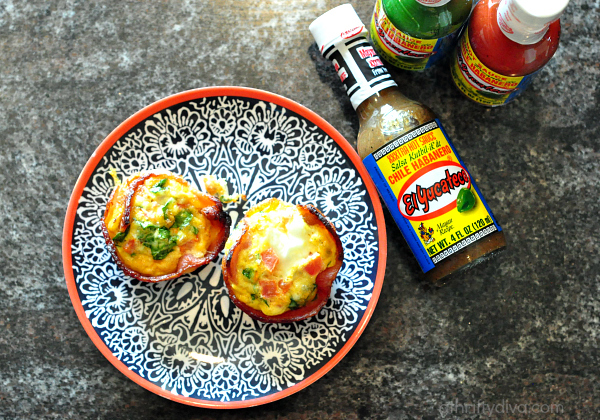 This mornings recipe of chile habanero egg muffins is simply delicious. 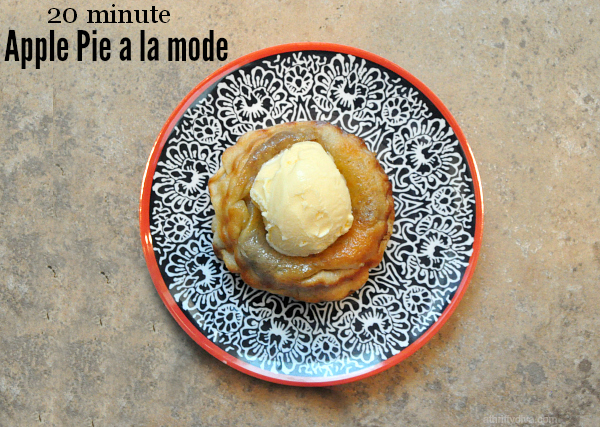 We make these all the time because it takes very little effort and my entire family loves them. 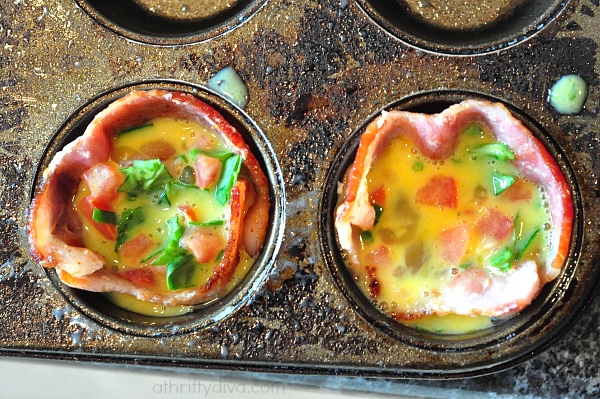 Take a muffin tin and grease it, pre-heat the oven to 400 degrees. 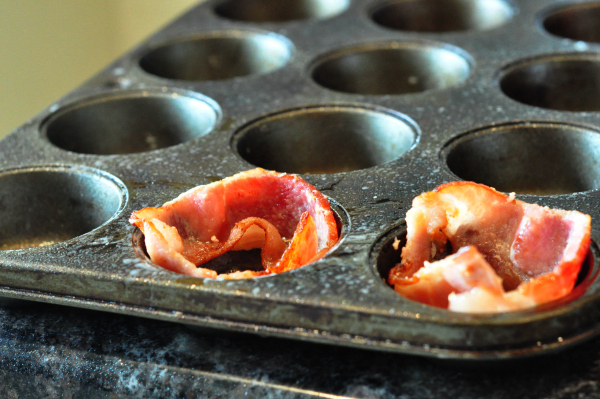 Next take a slice of bacon (lightly cooked) and line the muffin tin. I put the bacon on a pan for two-three minutes so that it crisps up better. I reserve one egg for each muffin. Today I only made two chile habanero muffins for myself. Mix all of your favorite ingredients in a small bowl. 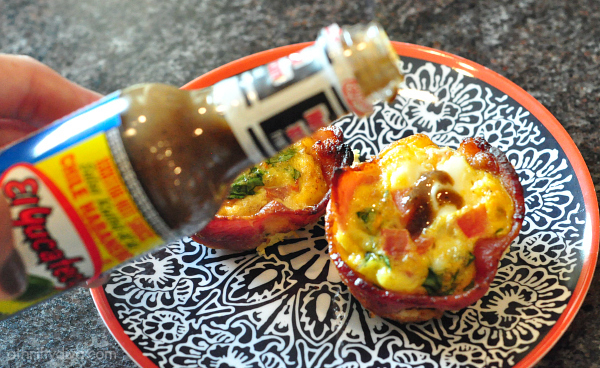 I added spinach, tomato and a dash of El Yucateco XXXtra hot sauce into my eggs. 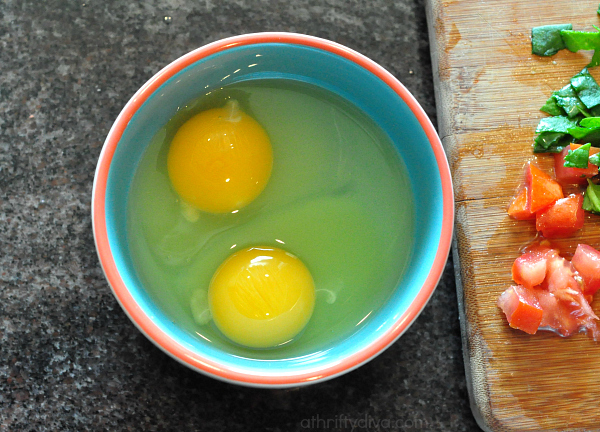 Foll your bacon lined tins with your egg mixture. Place in oven for 12 minutes and presto breakfast is ready. If you aren’t ready for El Yucateco chile habanero XXXtra hot sauce, I suggest going with my other delicious El Yucateco flavors, Black Label reserve or Green Habanero Sauce. 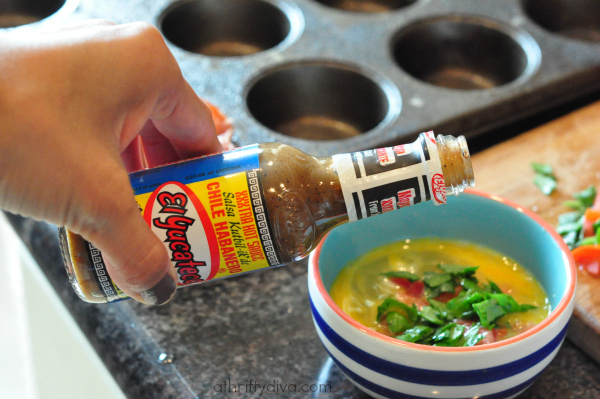 El Yucateco adds a delicious spice infused flavor to any meals. Keep up with El Yucateco on facebook. 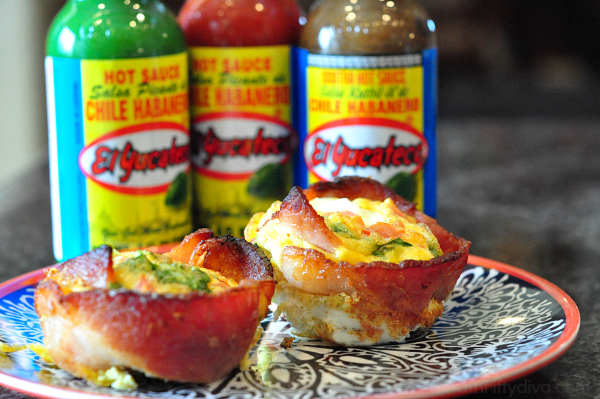 Join me for the El Yucateco #SauceOn twitter party 9/4 @ 11 PM EST. RSVP here: Sauce On Twitter Party. There will be $550 in Walmart gift cards.